Before starting this tutorial, please be aware that this widget can be set up several different ways. Videos and preview images can either be sourced locally or externally, along with using file browsers and manual methods. In this tutorial we will cover a variety of ways. 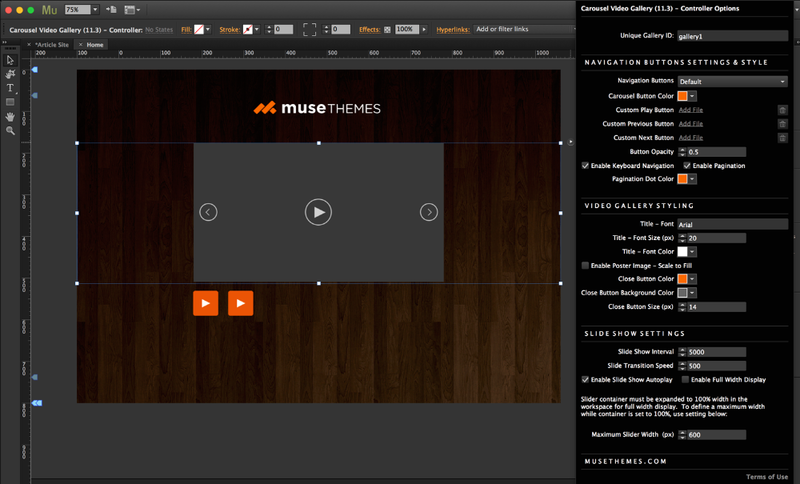 First, drag the Carousel Video Gallery widget onto the canvas inside Muse. 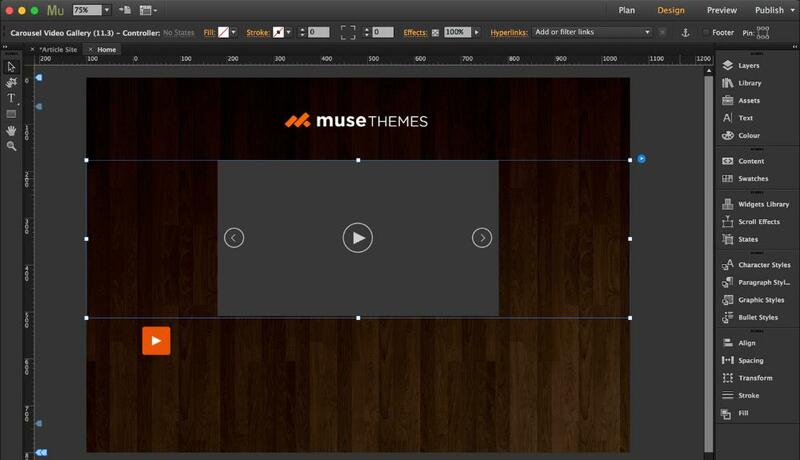 Make sure that if you want the widget to be central on the page that you drag the width of the widget to equal 100%. 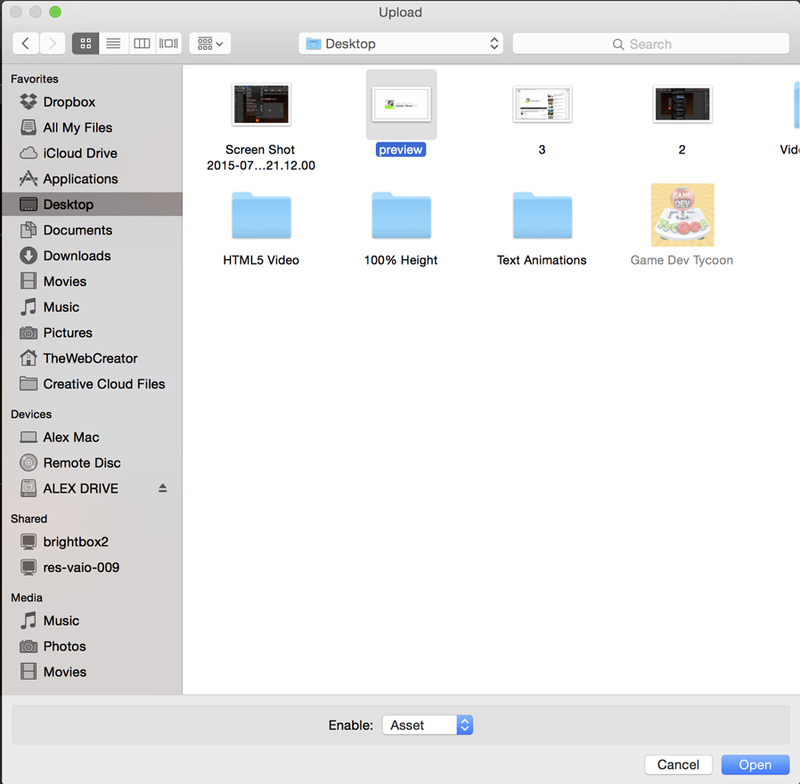 The 'Parent Gallery ID; must be the same as the ID in the Options panel for the video player, if not the gallery won't load the correct videos from the video loaders. Set the 'Video Type' to YouTube; this will unlock the 'Video ID' category of the widget. The 'Video ID' will be taken from the video we wish to import from YouTube. Locate the video that you wish to import on YouTube. Once the video is loaded, select everything that comes after the equal sign in the URL (as shown in the thumbnail below). Copy this portion of the URL – this is the Video ID. Now that the video has been added in via YouTube, a preview image must be added. In this tutorial we will add the image by using the 'Upload Files' method (alternatively, you could enable the 'Preview Image - Browse' to use the file browser). 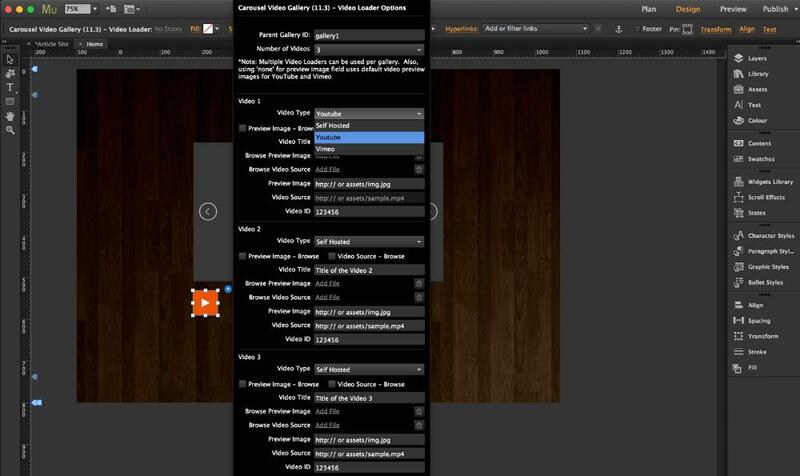 Go to File > Add Files For Upload, then use the browser to select your image. 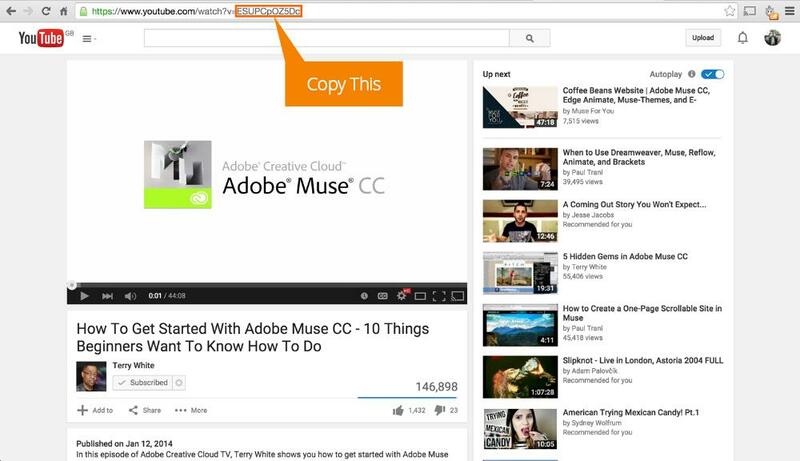 Preview your site in browser; the video will show up in the player. 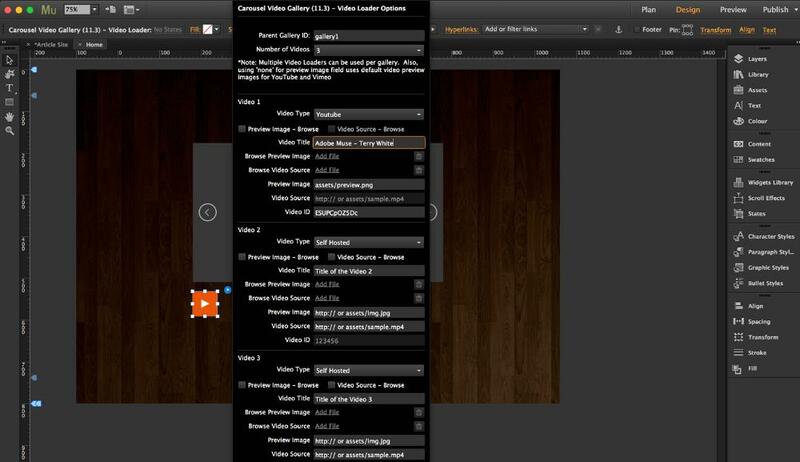 You can add additional videos by using the same method shown in Stages 2-5. To use more than 3 videos, simply select the video loader component, copy and paste it, then repeat the steps shown in Stages 2-5. 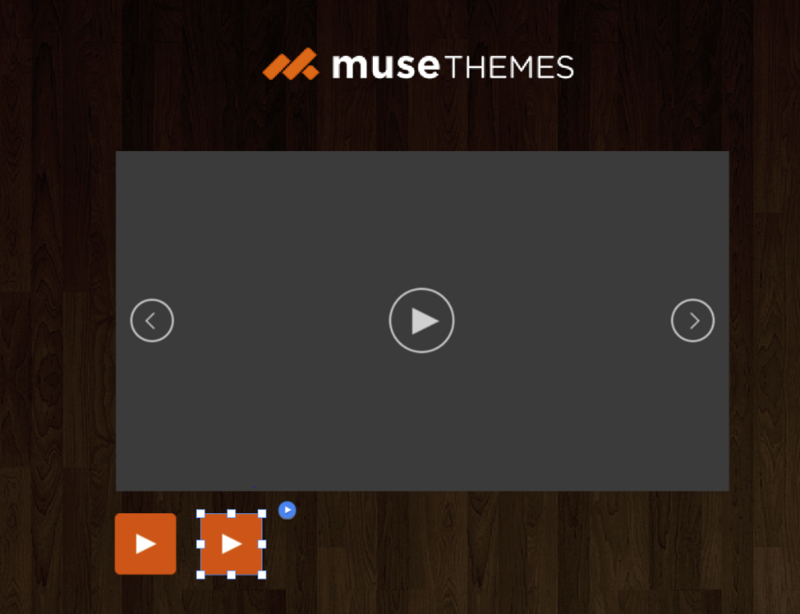 Your Carousel Video Gallery widget will now be up and running! This widget can be further customized using the Options panel for the controller.